In this episode of Archiving AK, archivists Gwen Higgins, Veronica Denison, and Arlene Schmuland share some documents from our holdings written by Alaskan women. The links below are to the guides to each of the collections featured in this podcast. The post Archiving AK Episode 13: Women’s History Month appeared first on Archives and Special Collections. In this episode of Archiving AK, archivist Veronica Denison speaks with Dr. Ian Hartman, history professor at the University of Alaska Anchorage. Ian discusses his research regarding African American civil rights in Anchorage, his experience with archival material, and the importance of libraries and archives. For our March episode, we will spotlight three women from our collections in honor of Women’s History Month. The post Archiving AK Episode 12: Ian Hartman appeared first on Archives and Special Collections. In this bonus episode, Gwen sits down for a chat with Rosemary Austin, an archivist at the Alaska Aviation Museum. Thank you all for listening. Our next regularly scheduled episode is an interview with UAA professor Ian Hartman. The post Archiving AK episode 11: Rosemary Austin appeared first on Archives and Special Collections. 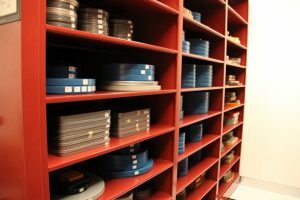 In this episode of Archiving AK, Arlene interviews Zane Treesh, the head of the Anchorage Museum’s Library and Archives. Zane splits his work between being a librarian and being an archivist for the Anchorage Museum. He talks about the kinds of materials they have, who their users are, and the types of work he does. Here’s some additional information on a few things mentioned in the podcast. 18:45 Alaska Library Catalog (available from the home pages of many libraries in Alaska, including the Anchorage Museum’s library. 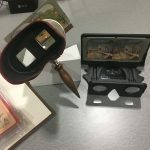 The post Archiving AK episode 10: Anchorage Museum Library and Archives appeared first on Archives and Special Collections. In this episode of Archiving AK, Gwen, Veronica, and Arlene tell their tales of the November 30th 2018 quake here in southcentral Alaska and then get together for a discussion of lessons learned and things observed. It’s a little longer than our standard podcast, but we hope you’ll forgive us for that. 15:20 About 130 boxes were on the floor in the archives vault after the quake. Even more were hanging off of shelves. 31:35 Kevin is Kevin Tripp of AMIPA. AMIPA shares our facility with us. Kevin is much taller than everybody else who works in the archives space. It should also be noted that AMIPA sustained far more water damage than we did, due to a wrecked pipe on the floor above that spilled water and glycol in part of their space. 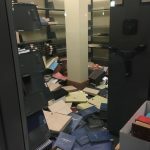 Here’s a few photographs of some of the damage in our space. The post Archiving AK episode 9: the quake appeared first on Archives and Special Collections. In this episode of Archiving AK, archivist Gwen Higgins speaks with Dr. Jennifer Stone, a professor of English at the University of Alaska Anchorage. Jennifer discusses her decision to incorporate archival research into her History of English Language course and what she has learned from having her students use archival sources for their projects. She also talks about her experiences using archives for her own research on language in Alaska. Thanks for listening! You can find this and other episodes of the podcast right here on our website, on SoundCloud, and now, on iTunes. The post Archiving AK episode 8: Jennifer Stone appeared first on Archives and Special Collections. 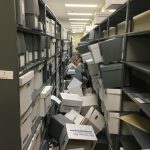 In the seventh episode of Archiving AK, archivist Veronica Denison interviews Chris Hieb and Leah Geibel – two archivists at the Alaska State Archives. 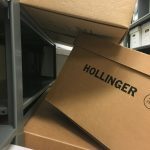 In the episode Chris and Leah discuss their roles at the State Archives, the types of users they see, the material they have, and some of the difficulties of being an archives in a hard to reach area. The post Archiving AK episode 7: Alaska State Archives appeared first on Archives and Special Collections. In episode 6 of Archiving AK, Arlene, Veronica, and Gwen talk about our preparations for participating in UAA’s STEM Day. 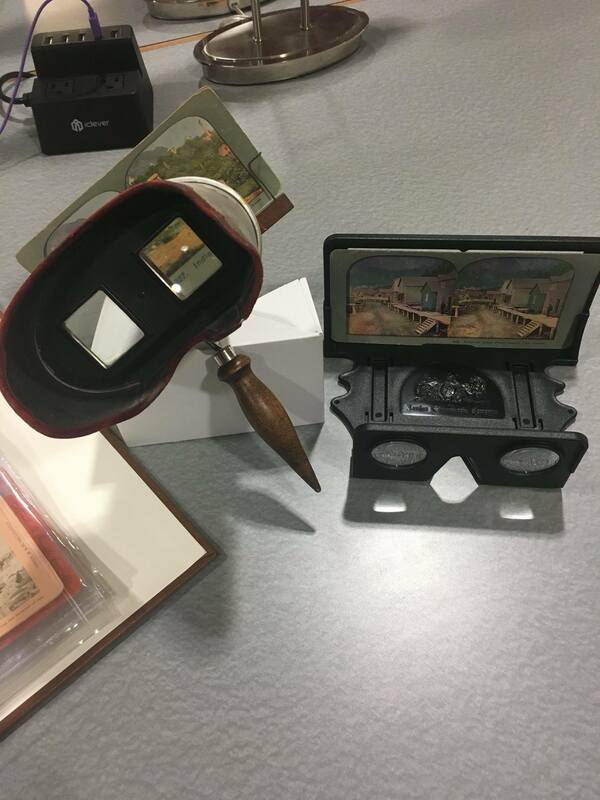 We look at how science, technology, engineering and math materials appear in our collections and how they can be or have been used by researchers. We also talk about some of the issues that can crop up with describing and providing access to STEM materials, especially with medical research collections. The post Archiving AK episode 6: STEM appeared first on Archives and Special Collections. In episode 5 of Archiving AK, Anna, our grad intern over the summer, took some time out of her last week with us to interview us for the podcast. The discussion goes into topics like what we hope for/see for the future of the archives profession, what skills and knowledge we would like new professional archivists to have obtained in their archives classes, the role of professional associations in our work and development, and the types of things we wish people knew about our work. Thanks to Anna for all her accomplishments over the summer, for putting together a fascinating set of questions for us, and ably handling discussion traffic control with three very verbal archivists! The post Archiving AK episode 5: Anna the Intern interviews us appeared first on Archives and Special Collections. The post Archiving AK episode 4: Interview with AMIPA appeared first on Archives and Special Collections.